On 1st September 2018 two new European measures will come into place WLTP & RDE. They should ensure that car and commercial co2 figures are much more accurate then the current methods. The new tests, WLTP (Worldwide Harmonised Light Vehicles Test Procedure) and RDE (Real Driving Emissions), will complement each other and will replace the current test NEDC (New European Driving Cycle) designed in the 1980s and introduced in 1996, back in the days when people were not even thinking about emissions and potential damage to the environment. Like the NEDC, the WLTP is a laboratory-based procedure. However the speeds and types of driving during the test cycle far more closely resemble how a car is driven in the real world. The advantage of laboratory-based tests is that they are carried out in controlled conditions and the results should be identical between one test and another regardless of the location. This should prevent misinformation such as the Volkswagen Co2 fabrication scandal. The RDE test is being introduced at the same time. This test is not laboratory-based. Although the procedure sets the types of roads and topography, it can be performed anywhere in the world. It is this aspect of the new test that poses the toughest challenge for manufacturers developing cars today. How does WLTP work and how does it differ from NEDC? Both take place in controlled conditions to provide repeatable results. 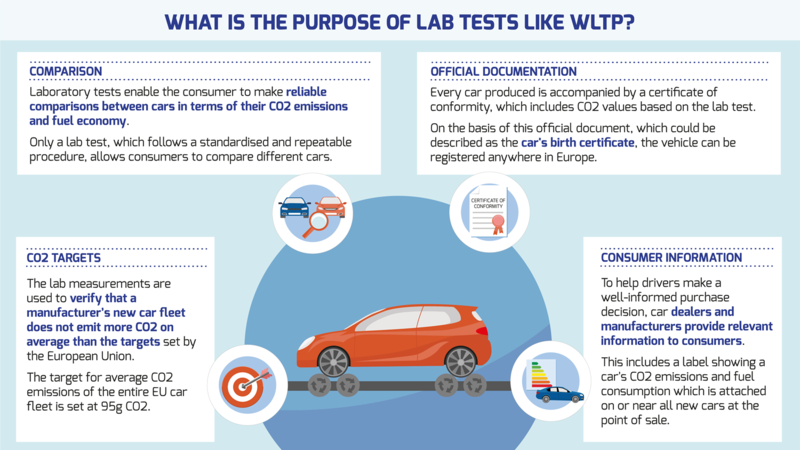 The key differences are that WLTP will test cars with and without optional equipment. This will show customers the best and worst case scenarios. It will include higher speeds, harder acceleration and deceleration, and be a much tougher and more sophisticated test. NEDC is based on a theoretical driving profile and consists of two drive cycles, urban and extra urban. The combined figures normally quoted are calculated from those two. WLTP will comprise several test cycles (Worldwide Harmonised Light Vehicles Test Cycles – WLTC). Each test is designed to suit a particular category of cars based on factors such as power-to-weight ratio and maximum speed. There’s also a series of test cycles for hybrid and electric vehicles. WLTP test cycles are based on real-world driving data collected worldwide. The new cycles are split into four parts, based on low, medium, high and extra high average speeds. Each speed range will comprise a variety of phases, including stops, acceleration and braking. The test cycles are longer at 30 minutes instead of 20 minutes and the highest speed is now 81.4mph rather than 75mph. Where NEDC relied on fixed gearshift points, WLTP specifies different shift points for each vehicle. NEDC fails to take into account options such as larger wheels or any items that increase the standard kerb weight. Neither does it account for what is now common standard equipment such as heated seats, air conditioning, four-wheel drive and heated windows. WLTP takes all of those factors into consideration. Where does the Real Driving Emissions test figure in all this? However improved WLTP is, it is still a laboratory test and cannot take into account whether an individual driver’s style is aggressive or sedate, the traffic conditions, weather conditions, gradients or load on the car. All of these things have an effect on fuel consumption and NOx emissions. The RDE test is carried out by fitting Portable Emissions Measuring (PEMS) equipment to the car to record exhaust emissions at the tailpipe. The test takes place on a route that ticks the same boxes whatever the location, including high speed on motorways, low speed in urban conditions, medium speed on rural roads, low and high altitudes, driving up and down hills, increased payloads in the car and different climatic conditions covering year-round temperature and humidity. The results will be used in conjunction with the laboratory-controlled WLTP tests to calculate the final figures for each car. How will the new tests be introduced? RDE will apply to cars being Type Approved for the first time from 1 September. Then for all new registrations from September 2019. WLTP also affects new types of cars from 1 September but, from a buyer’s perspective, is likely to make things more complicated. Cars approved before that date will continue to use official CO2 values measured under NEDC only. WLTP CO2 figures will almost certainly be worse than the NEDC equivalent. Both sets of official figures will be given for cars certified after 1 September. From September 2018, cars will only be given WLTP CO2 values and that’s when comparisons could become more difficult. Manufacturers may publish unofficial NEDC figures in their own literature in an attempt to clear up any confusion. Will the new tests make things better? RDE tests will be subject to a ‘conformity factor’ – essentially ‘wiggle room’. It will allow a margin of error on results as the performance of PEMS equipment isn’t consistent. This will allow emissions levels to be exceeded by 110% (2.1 times) for new types of car from September. That figure will be reduced to 50% from September 2019 and apply to all cars. Therefore a car which should meet an NOx target of 80g/km, could be allowed up to 168g/km in an RDE test until September. Although that seems lax, these are ‘not to exceed’ figures. The average test results are expected to fall well below today’s NEDC. Manufacturers will have to ensure that NOx levels fall well below the allowed limits to be certain of passing. 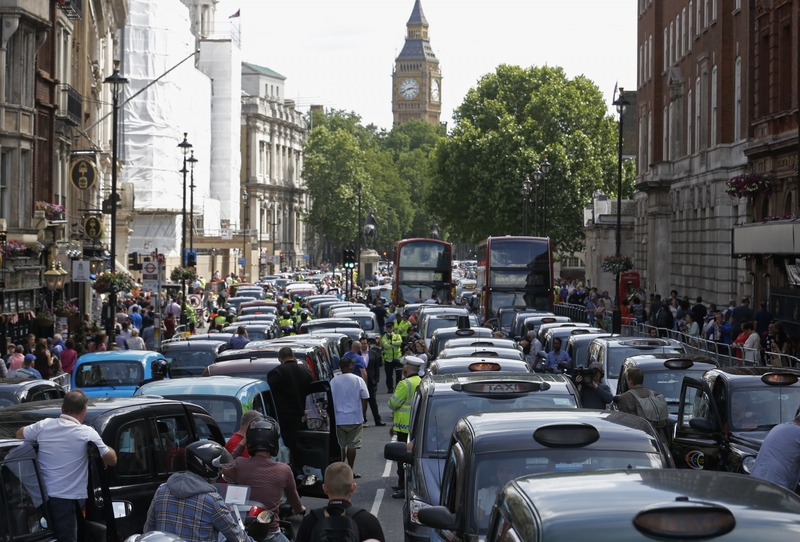 The spectre of NOx in particular should vanish from the roads as real-world tailpipe emissions in new cars plummet. Official fuel consumption figures should be far more representative of what we can expect when we purchase a new car. We feel the next step will be to display CO2 data on the dashboard alongside consumption and mpg.